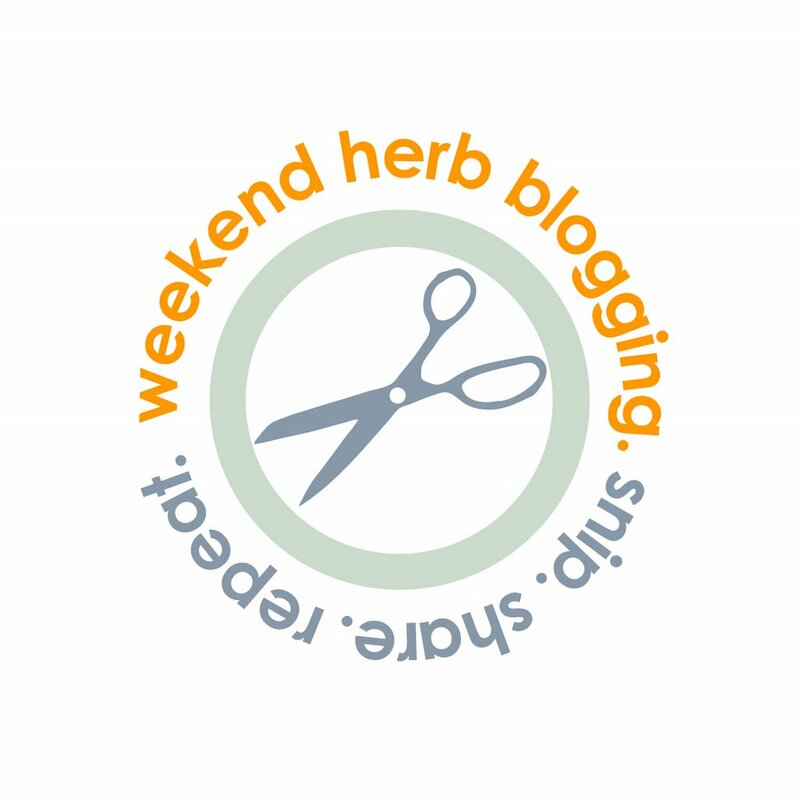 This week-end I’m hosting Week-end Herb Blogging, normally hosted by Kalyn, but sometime on the road around the world! And I’m thrilled about it for many reasons! First of all, all the new blogs I will discover doing the recap. Secondly, I had to get out of my usual laziness and finally post again a little entry in English, and about a specific argument. And that’s good: I could not procrastinate, and the less I procrastinate the more I do (and many thanks to Kalyn to keep me in her list of contributors, even if I was such a bad participant!!!)! But let’s get back to the recipe! Pappa col pomodoro, or, my reach tomato soup, Italian version. More precisely, this one is the version of my friend Giuseppa! 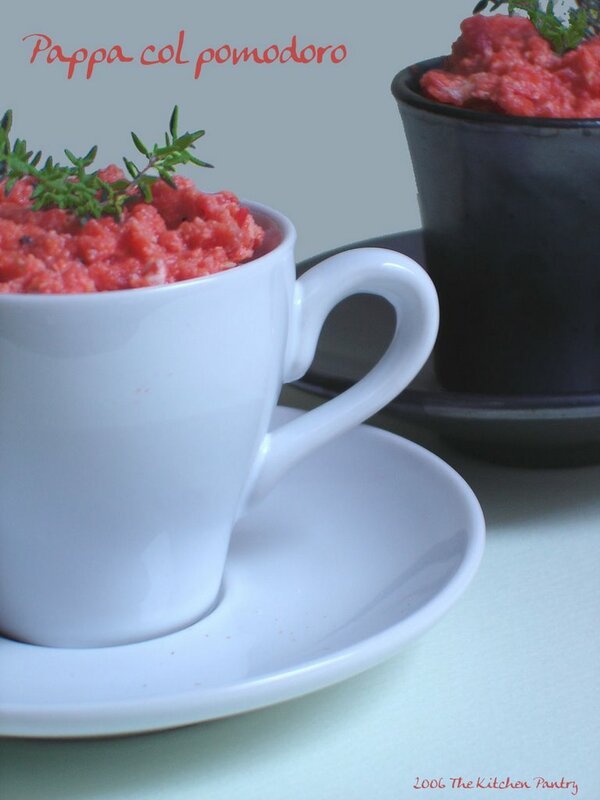 If you use good quality canned tomatoes, it is one of the easiest and more versatile dish of all! But you can use your own salsa, or directly fresh tomatoes. If using fresh ones, choose them ripe , blanch them until the skin cracks and remove the skin before putting them in the pan. Put the oil into a frying pan, and as soon as it is hot, add the tomatoes. Stir and add sugar, salt, pepper and thyme. Let it cook for 15 minutes, stirring occasionally, then add the eggs, one at the time, and stir constantly, as doing scrambled eggs. Serve hot on a thick slice of bread. This sounds just fantastic. I haven’t heard of Mutti tomatoes. Is it a brand or a type of tomato? I’ve seen Italian tomatoes here that come in a box (instead of a can) and always wondered if they were good. Next year I want to plant San Marzano tomatoes after so many bloggers were raving about them this year. San Marzano are good, very good, but little cherry tomatoes from Pachino are much better!!! I love tomatoe soup ! Thanks for the info. There are two good stores here that sell Italian products. I’ll check for Mutti tomatoes.